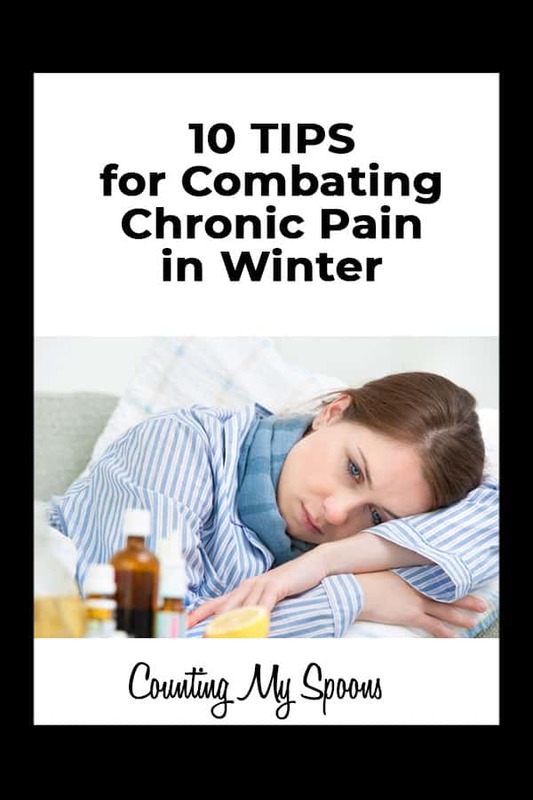 Winter can be an extremely painful time for sufferers of fibromyalgia, arthritis, and other musculoskeletal conditions. Painful joints can be debilitating at any time of year, but symptoms can become markedly worse during the cold, wet months of winter. Changes in the weather can make our bodies work harder to send blood to our vital organs, which in turn can leave limbs feeling aching, painful, and stiff. Pain is your body’s way of telling your brain that something is wrong, so if you are suffering from increased discomfort it could be time to find ways to keep the pain at bay this winter. Keep reading for ten great ways to help you stay comfortable during the chillier months. This is a sponsored post. Compensation has been provided in exchange for publication. Simple yet extremely useful tip here! Keeping aching muscles warm will help them to relax, which in turn can help to alleviate pain. Add layers for cozy sweaters and remember to wear warm socks whenever you can! Make sure to bring gloves with you everywhere in order to keep those extremities toasty. Being dehydrated, even just a little bit, can make you achy and stiff. If you are already suffering from pains in your joints or your muscles, not drinking enough water can make the pain feel so much worse. Remember to drink between 6 – 8 glasses of water a day to stay well hydrated and to reduce pain and inflammation. The lack of sunshine during the winter months can have a negative effect on all of us, but low levels can be especially difficult for those with chronic pain. Finding a good supplement will not only help to alleviate your pain, it can also help to boost your mood as well. Related: Fibromyalgia and Vitamin D: Are you getting enough? Treat yourself to a professional massage, at least once a week if you can, to help reduce pain. Manipulating muscles will help, but be sure to find a masseuse who can be gentle with you when needed. Warm water has incredible healing powers when it comes to aches and pains. A warm bath before bed can help to relieve your pain, to ensure that you get a good night’s sleep. Or if you are mobile enough, consider taking a dip in a warm swimming pool, as exercising in warm water feels wonderful when you are feeling stiff. Good posture is good for you at any time of year. Standing tall can help you to relieve the pressure on your joints. If you are in too much pain to maintain a standing position, try just straightening your back out for a few minutes, several times a day. Pain of all kinds can feel worse when your body is tired and run down. Try to create a calm environment and a relaxing bedtime routine to get a goods nights sleep. Our bodies work hard to repair themselves when we sleep, so the more zzz’s you can get, the harder it will work to help ease your pains. Turning into a couch potato all winter will not make you feel any better. Our bodies respond well to stretches and gentle exercise. Don’t face the cold if you don’t feel up to it, and try some gentle techniques at home instead. Stress in the mind can have serious consequences on the body, especially for those suffering from chronic pain as it can exacerbate already-existing symptoms. Create a stress-free environment for yourself when you need it. Turn off your electronics and pick up a book, meditate, or go for a short walk outside. You can also manage stress with supplementation to keep your mind calm and body relaxed. If your aches and pain are made worse by rushing around, listen to your body and try to relax as and when you can. Have a friend or family member pick up your groceries or order online instead. If you’re feeling tired, don’t push yourself a take a nap when needed. These little things will help your body recuperate and stay well-rested. Take it easy this winter by staying warm and hydrated in order to help relieve the discomfort off your aches and pains. Before you know it, the spring will be here once more!